Filming has begun in Melbourne on a new 6 part drama for ABC, Seven Types Of Ambiguity. Based on a novel by Elliot Perlman, the psychological mystery is told from the shifting perspectives of seven characters, and the risks people take in the name of love. 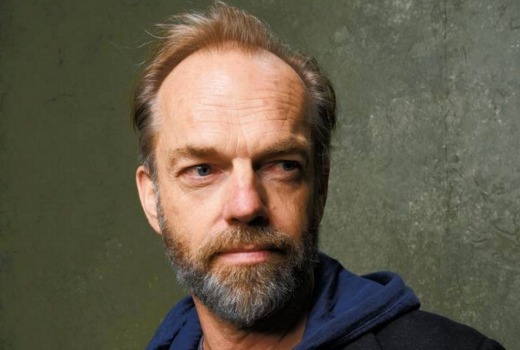 The cast features Hugo Weaving, Alex Dimitriades, Leeanna Walsman, Xavier Samuel, Anthony Hayes, Andrea Demetriades and Susie Porter. Six-year-old Sam Geraghty is taken from his school. Much to the relief of his parents Anna and Joe, Sam is found unharmed hours later and the police arrest ex-schoolteacher, Simon Heywood. But this is far from an open and shut case as it turns out that Simon is Anna’s ex-lover, and his neighbour and possible accomplice Angela has an intriguing connection to Joe. Soon Simon’s psychiatrist and ally Dr Alex Klima, his lawyer Gina, and even Joe’s best mate Mitch get pulled into the vortex where relationships become entangled and moral dilemmas abound about who really is at fault. And it’s not a matter of who took Sam, but a question of why. Produced by Tony Ayres Amanda Higgs it is written by Jacqueline Perske, Marieke Hardy and Jonathan Gavin, with Glendyn Ivin, Ana Kokkinos and Matthew Saville directing. Really hope it’s not the typical over- earnest melodrama that the ABC tends to churn out. It does feature two of my favourite actors in Susie Porter and Alex Dimitriades so I will definitely be watching. Nor should they. I don’t really want dramas about inanimate objects. The former is soap opera, with a load of cliches thrown in to try an energize flaccid storytelling. It’s what Australian screenwriters (and playwrights too) are taught to do from day one. That’s why we’ve never created (or attempted to create) anything like Breaking Bad, The Sopranos, The Wire or Mr Robot. All good drama is essentially about relationships. The difference is that in good drama, the writers explore how relationships (of any kind – familial, romantic, work, vocational, situational) are affected by the characters, rather than imposing relationship cliches (eg. marital infidelity) onto the characters. It worries me that Tony Ayres is involved, seeing as he has only ever done soap operas (eg. The Slap). The directors are also known for their excessive earnestness. Tony Ayres has done drama, comedy, children’s, film and TV. We’re agreed that all good drama is about relationships. And conflict. Will leave it at that. Um…. For reference, what type of dramas void of relationships are you talking about? Seven Types of Ambiguity? Thats what its called? I’m sorry but the titles enough to put me off. Loving all this Aussie work being produced….. Sounds like the standard uninspired, depressing domestic melodrama the ABC loves to commission. Let me guess, it’s got child abuse, suicide, domestic violence, infidelity, alcoholism and lots of grumpy people shouting at each other? Nice to see the ABC trying something different for a change. I have to agree. Ever since the Slap, the ABC has given us a plethora of these contemporary, relationship dramas. All set in Melbourne(of course), all gushed over by the critics & all shunned by the public. The ABC is also commissioning dramas like Cleverman, Glitch, The Code, Janet King, Rake. What are the commercial networks doing that is inspiring? House Husbands, Winners & Losers, more Offspring? Yeah, but most of those ABC shows are crappy domestic melodramas at heart. Glitch started off as a fairly good genre idea, then degenerated into a “who shagged who” soap opera. Cleverman looks awful (based on the trailer). It looks like something the SyFy Channel would make. Hope I’m wrong! This certainly has all the ingredients to be a top-notch drama including a solid writing team. Something to look forward to in the second half of this year.